Posted April 17, 2019 & filed under Communication Skills. Generation gaps between teacher and learner are encountered every 10-20 years. Generations are shaped by unique historical circumstances. Currently, millennials make up approximately 25 % of our workforce and this will increase to 40% and 75% of the workforce in 2020 and 2025 (1). Adapting to changes in expectations and work habits is imperative to educating learners, preparing future master educators and fostering productive mentoring relationships. Micromentoring accessibility, frequent short meetings, fast responses Hold brief meetings on narrow topics to discuss progress. Meetings would be about a single topic with a focused question or set of questions to be addressed. Finally, the millennial generation has been shaped by the #metoo era. I agree with the author in JAMA, Mentoring in the Era of #MeToo, with her fears of gender-based neglect. I most certainly harbor a great amount of empathy for those women who have suffered from sexual harassment and sometimes worse. However, many of my mentors have been male and have professionally influenced my practice and career path and are close colleagues of mine, likely for life. Refrain from physical touch except in larger social settings where you may give a hug in greeting. Text with important or urgent things, and sometimes just very funny things, but never anything that wouldn’t share with either spouses. Posted March 1, 2019 & filed under Educational Tools. 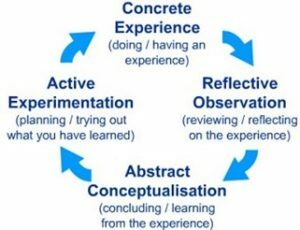 In addition to facilitating deep and lasting learning, reflection has also been shown to be an effective way to improve resiliency and well-being of the clinician as well as increase empathy for patients.6,7 It is particularly important to help learners take the time to reflect after challenging emotional experiences. We can do this by having formal or informal debriefing sessions where all members of the care team have the opportunity to share how they are feeling or how the experience is impacting them personally. We can also encourage reflection through writing, such as through the use of journaling. Additionally, you could consider having medical students and/or residents do a writing exercise at the end of a month long rotation to encourage reflection.5 Some examples of prompts are: writing gratitude letters to patients, writing about a patient who surprised them and explaining why, reflecting on a time when they felt they communicated something difficult in a way that was effective (or not!). One fun exercise to consider doing as a group to aid in reflection and team bonding is having everyone write a six-word story. A famous example of this is “For sale: baby shoes, never worn,” attributed to Hemingway. These writing exercises help our learners, but they can also help us. Posted January 11, 2019 & filed under Communication Skills. With stressors abounding of record-level hospital census, the opioid epidemic, flu season, the holiday rush and the day-to-day grind of showing up for work while also managing household IADLs, I hope to offer a little salve for burnout. Imagination, as we put ourselves in another’s circumstance. Intimacy, as we learn of the hardships of another. Providers may suffer atrophy in these qualities as their medical education and careers progress. These are, however, precisely the items touted to be antidotes to burnout[iii], litigation[iv], and medical error[v]. How do we get them back into our lives, our patients’ lives, manage the patient’s care safely, and still make it home on time for dinner? Sit down when you speak with a patient. Lean towards your patient. Let them speak, without interruption, for at least 2 minutes. After gathering the necessary history/information and performing your exam. Use supportive statements as the history is recounted, e.g. “Oh my, that sounds very scary.” Summarize your thoughts on their case using plain language. If you have uncertainty about the diagnosis, tell them and explain why. A closer rapport with your patient, who will be more likely to divulge important information regarding symptoms. A patient who feels both validated and cared for is more likely to comply with medical therapies. Better medical outcomes for patients and providers. Whether it is second nature to you, or something that takes practice, compassionate interactions, just like apathy, can be infectious. Try to share them as much as you can. [i] Pence, Gregory E. Can Compassion Be Taught? Journal of Medical Ethics. 1983, 9, 189-191. [ii] Pence, Gregory E. Can Compassion Be Taught? Journal of Medical Ethics. 1983, 9, 189-191. [iii] Vallerand et al. On the Role of Passion for Work in Burnout: A Process Model. Journal of Personality. 2010, 78(1), 289-312. [v] Shanafelt et al. Burnout and Medical Errors Among American Surgeons. Annals of Surgery. 2010. 251(6), 995-1000. Posted September 6, 2018 & filed under Clinical Teaching, Competency. Posted August 1, 2018 & filed under Communication Skills. As professionals working in the medical field, we are often tasked with difficult conversations of delivering bad news, disclosing medical error, or initiating advance care planning and end-of-life discussions with patients and their families. More often than not, skills needed to effectively communicate with patients about these difficult topics are not developed fully during medical training. As such, the Accreditation Council for Graduate Medical Education now requires competency in communication skills for residents and fellows.1 There are different methods available in order to hone these skills. Posted July 2, 2018 & filed under Mentoring. What does it take to become a great mentor? While many have pondered this immense question, Lee et al. and Cho et al. sought an answer from perhaps the most important judge of mentors: mentees.1,2 Their goal was to identify the characteristics and practices of exceptional mentors in the eyes of students. The five tips listed below are a unified summary of their results. It is proposed that these ideas could be used to self-assess mentoring abilities, to build faculty development programs, or to guide students and young faculty in the search for a mentor.2 While all the nuances that go into becoming a truly great mentor could not be captured here, this list does include what is most commonly cited as being appreciated by mentees and serves as a place to start for those looking to improve their mentoring abilities. Posted June 4, 2018 & filed under Social Media. Ensuring the public trust in the medical profession is the reason for promoting professionalism as a key component of medical education. Therefore medical curricula place significant emphasis on the development of professional behaviors. Digital professionalism, or e-professionalism, describes the increasing interaction of medical professionalism with the greater public through social media outlets. The terms are new but the reality that online images or postings can reflect on students or practitioners has been present for some time and is usually associated with negative connotations. This has resulted in what some authors have described as a ‘hidden curriculum of digital unprofessionalism’ in which digital unprofessionalism is punished but rarely overtly taught. Despite the consequences that digital unprofessionalism lead to for a clinical student or clinician, the academic literature is increasingly focusing on the positive opportunities associated with professional physician social media use, such as using social media to actively share quality information.